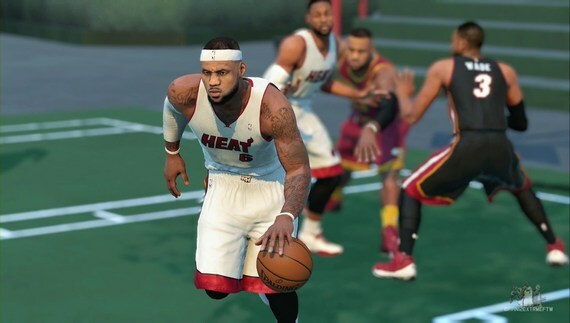 If there were one, NBA 2K would probably rank top 5 on a list of games that evoke the most competition, sometimes in the most harsh, yet comical ways. Laugh at the homie who never fails to bring up the last time they beat you, even if you've taken home the last three or so wins in a row. Or what about that friend that claims before they even touch the controller that the game is already theirs? When the outcome is opposite, it's usually followed by some explicit words that basically mean don't get ahead of yourself, ever again. 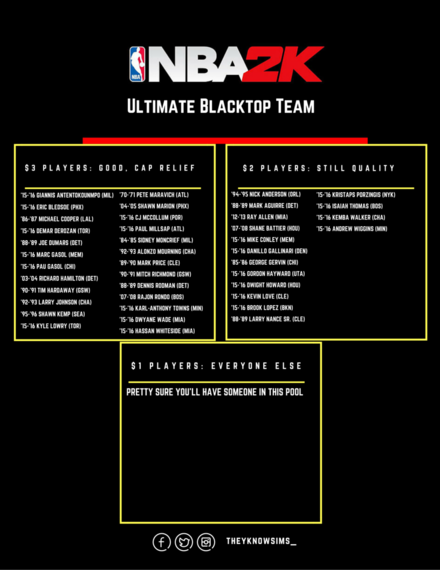 So you're with a group of your most competitive, NBA 2K playing friends and you all wanna shot at each other. Regulation games are too long, especially if you're Captain Hack. They are even longer to the guy who just lost, anxious to get back on the sticks. Take it to the blacktop instead. 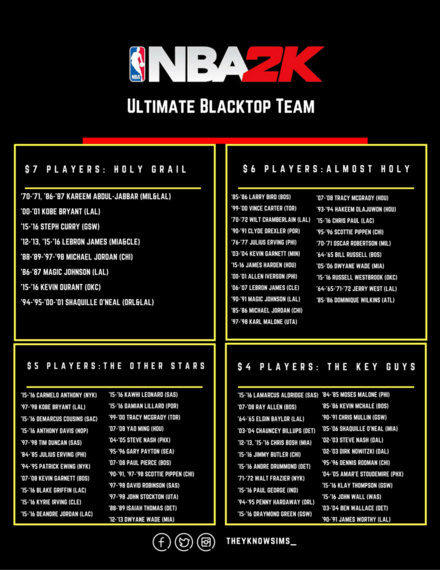 NBA Blacktop mode is the more realistic, nevertheless heir apparent to the classic NBA Street series. There will never be anything like a Gamebreaker in a basketball game. Fastbreaks nearly every possession. Looking to pull-up from three as much as possible because, why not? If you like to take your time and methodically get your buckets, a 40 second shot clock is at your disposal at the Blacktop. So you really are the aforementioned Captain Hack? No worries, fouls are a gift more than a curse because there are no free throws. Tough, "And 1" buckets at the rim only, buddy. Unless you're put on a poster. The player pool gets deeper with every new edition of NBA 2K with the latest featuring the 2012-13 version of LeBron James. Want to go 5-on-5 with 5 MJs on your team? That would be very spam-like of you, entertaining nonetheless. We've seen Kevin Durant go Super Saiyan in real life as a street baller. Guess what? He's also as lethal virtually. Streetball at it's finest. Choose your squad. It's a 5-on-5, game to 21, win by two. Oh, and to avoid someone actually picking five versions of Michael Jordan, you have a budget of $20. How about not picking the same player twice (no picking Miami Heat & Cleveland Cavs LeBron)? 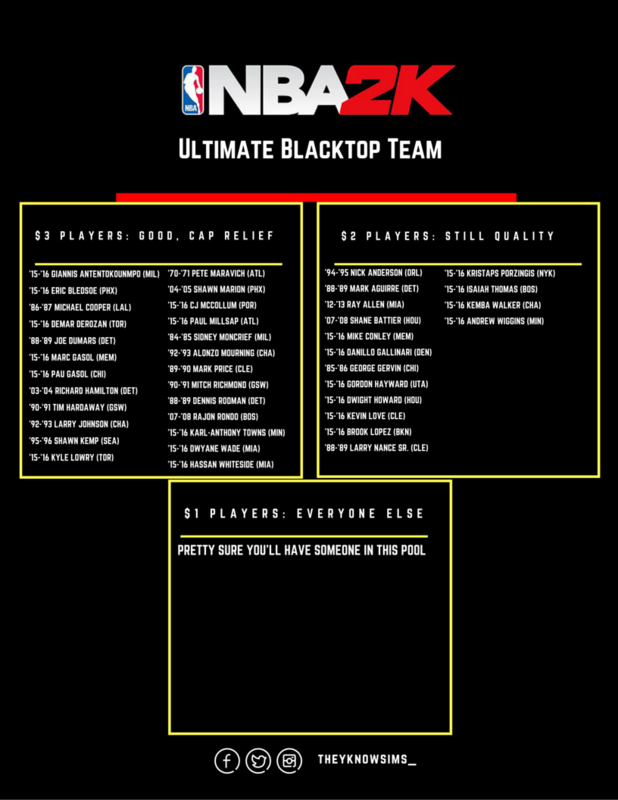 Disclaimer: This won't include every player of course and just know that some are better suited for the Blacktop than others. Sorry not sorry in advance. 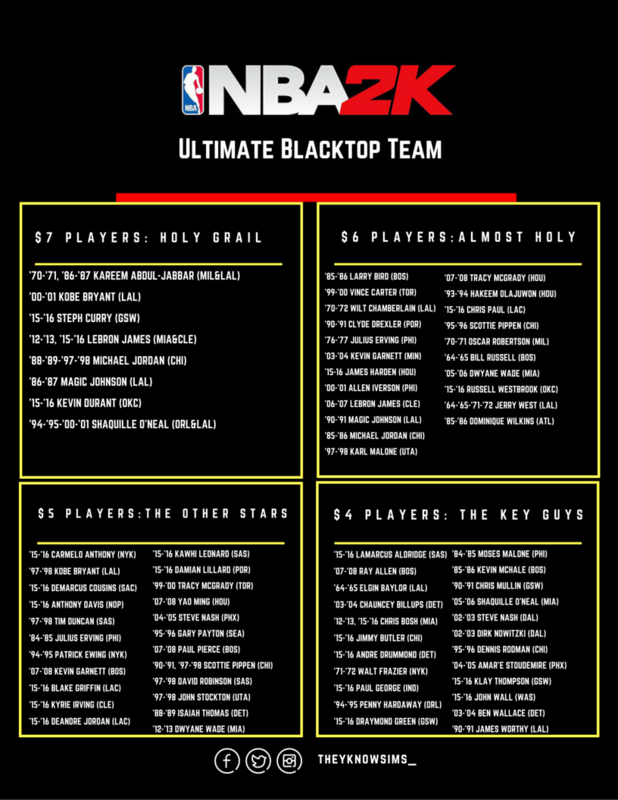 Based on NBA 2K16's official rosters. In other words: Shooters matter more. Athletcism is a major key. Defense saves the day. Every Michael Jordan is great, but there are differences between them all attribute wise. Choose wisely.